Dearborn, MI – Henry Ford College will host a Regional Validation Workgroup meeting on Friday, February 22 for Industry 4.0 standards through the Smart Automation Certification Alliance (SACA). These standards will be the basis for a nationally-recognized, occupation-driven Industry 4.0 certification. 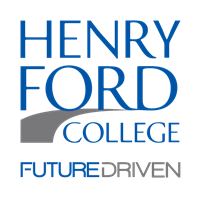 Henry Ford College is seeking industry leaders to participate in the Technical Workgroup. Qualified participants should be familiar with the specific competencies required for Industry 4.0 related technicians, including electrical/electronic systems, fluid power, mechanical power transmission, process control, programmable controllers and networking, electric motors and drives, basic welding, and basic machining. Participants in the Technical Workgroup will gain first access to state-of-the-industry skills standards and ensure their company’s needs are addressed by a nationally-recognized certification. Seating is limited, so please register as soon as possible. SACA is a non-profit organization whose mission is to develop and deploy modular Industry 4.0 certifications for a wide range of industries. Industry 4.0 technology is rapidly transforming the workplace, and SACA certifications validate “connected systems” skills that address the integration of smart technologies with Industry 4.0 technology. These certifications will be highly affordable and accessible to significantly increase the number of individuals who possess necessary skills, thereby ensuring that companies have the skilled workers they need.